So we didn’t go camping this weekend, since the forecast called for rain all three days. And of course, I haven’t seen one single drop of rain. On Friday, we set up the tent just to make sure we could. 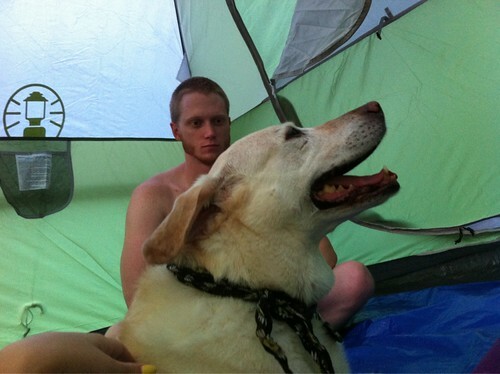 So this was as much camping as we did. If you can’t tell from Daisy’s face, it was a little hot in there. On Saturday, we took Daisy for her yearly shots and she was super pumped to hear she lost 5lbs! She has been a little plump since we got her and I am pretty terrible with giving her table scraps, but lately Keith has been stopping me. We’ve also been taking a lot of family walks and it seems like the combination has paid off. Go Daisy! 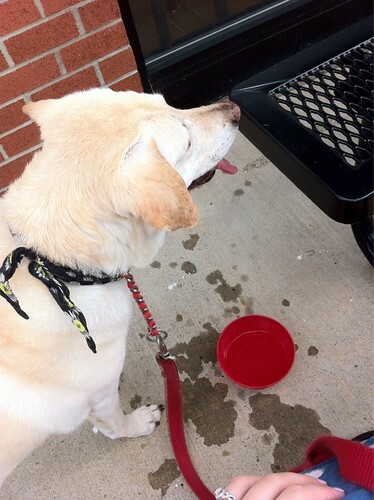 After the vet, we went to Qdoba for lunch and Daisy played guard dog, jumping up any time anyone went in/out. She’s so cute. 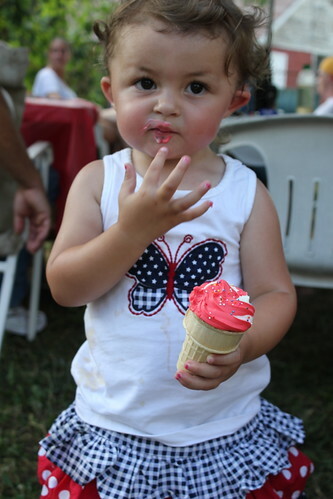 Saturday was also my little cousin Adam’s 4th birthday party. Since I jump on any excuse to bake, I went all out. I got a mini donut pan for Christmas and finally busted it out. I was really unimpressed with the recipe I used though, so next time I will hunt for a better one but I made these little monstrosities. They were so tall they just barely fit into my carrier. I need to stop making such elaborate cupcakes when I need to transport them places. I think I would definitely make them again with a different donut recipe and only when they are staying home. They were so messy and the heat did not help at all. But they are just too cute! It was great to spend time with my family although I wish my mom had been at the party (she had to work). 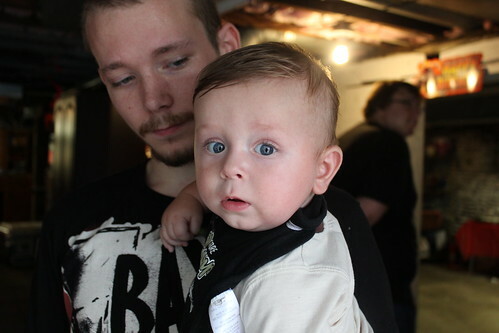 I did get lots of time with my adorable nephew Bradley. He is one of the very few babies that I can take him from someone when he is crying and he stops. He must know how much I need him to love me, hahaha. Though he did lose his little mind when I changed his diaper. You would think he would appreciate having a nice dry diaper, but noooo. Okay, I have one comment: Yikes. Which brings us to today. Last week I started Couch to 5k again. I say again, but the furthest I’ve ever gotten was day 3. Last week I woke up at 6am on Monday, Wednesday and Friday and did the runs. It was not easy, but I felt so freaking wonderful afterwards. And doing it in the morning was extra great because I got to feel good about myself all day long. Today was Week 2, Day 1. I was not about to wake up at 6am on a non-work day to do the run, so I did it around 10am and oh was it horrible. It was so humid and disgusting I almost died. I finished, but barely. The 6am runs were wonderful because not a single soul is outside then. Today everyone and their dog was out. I had a chorus of about 6 dogs barking at me on every loop. Eventually, I started to pretend they were cheering for me, but that didn’t even help. Here’s hoping Wednesday/Friday are better! Oddly enough, while writing this, my friend Sarah texted me to tell me she just finished the program so I asked if she’d be interested in signing up for a 5k with me when I’m done and she said yes! I was afraid I was going to have to do one by myself, since I do know a few people who run but they are all wayyyy ahead of me. I also got a little crafty today. I made my flag wreath for the front door around Memorial Day and decided it could stay up until Labor Day. 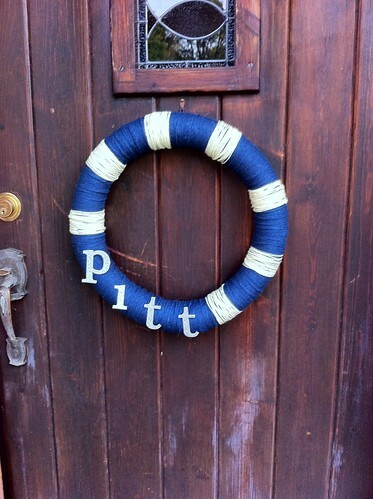 Well, earlier this week, I realized I had no replacement wreath. So I got to work and made super simple wreath. Hope your weekends were as fun-filled as mine! So Tuesday after work Keith was headed to a baseball game and I headed home to get my bake on. 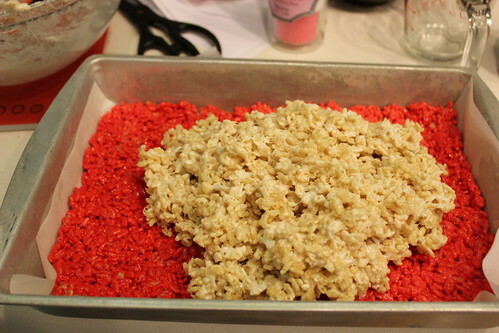 I was making cupcakes and two kinds of rice crispy treats because I kept coming across recipes that I just haaaaaaaaaad to make. 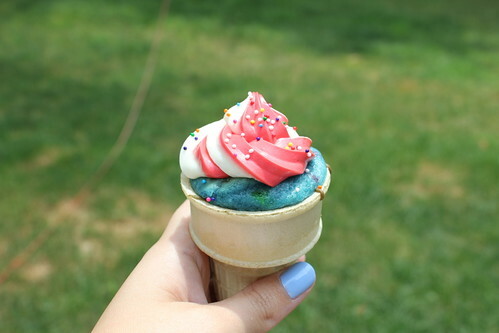 First up: cupcakes in cones. 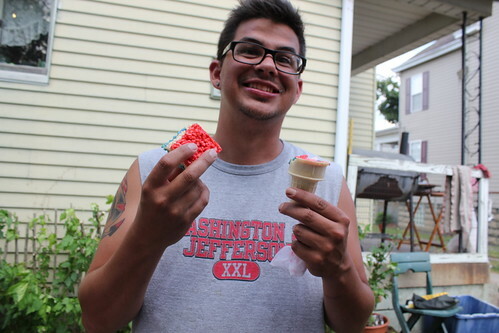 Wayyy back in 2008, my friend Lauren had a graduation party and asked Elyse and I to bring cupcakes. She and her sister-in-law were also baking so it was going to be a cupcake fest. Elyse and I decided to make one kind of cupcakes for looks and one kind for taste. The tasty ones were banana boston cream pie cupcakes (soooo goood) and the adorable ones were the cupcakes in cones. 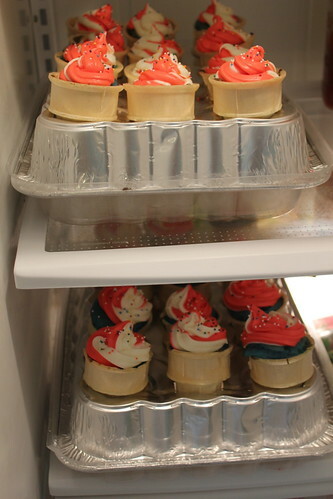 When it came time to transport the cupcake cones, though, we had a little problem. I was carrying them in a mini muffin tin, which was all fine and well until we got in the car. 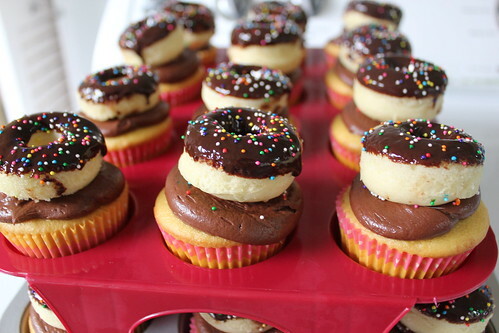 The cupcakes, once iced, became top heavy and were flying all over the place. And then we get into Lauren’s neighborhood and it is all cobblestone streets. 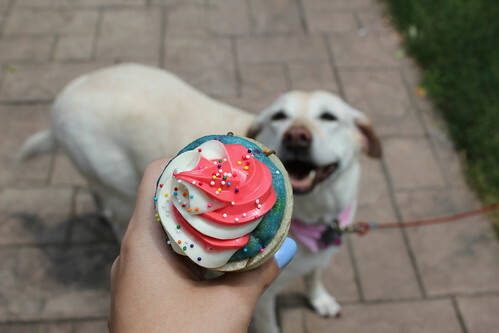 Needless to say, all the icing was smeared everywhere and the cupcakes were way less adorable. It was so frustratingly hilarious though and the kids still loved them, but I knew I needed a plan for this year. Enter: disposable aluminum baking sheets. Flipped upside-down with holes cut in them, they were the perfect little platform for the cupcakes. 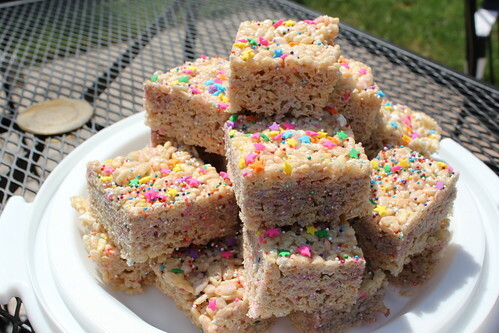 I’ve been wanting to make these cake batter rice krispie treats, so I figured what better time than our nation’s birthday?! The consensus was that they didn’t taste a thing like cake (I used a heaping 1/3 cup of cake mix), but at least they were really cute? 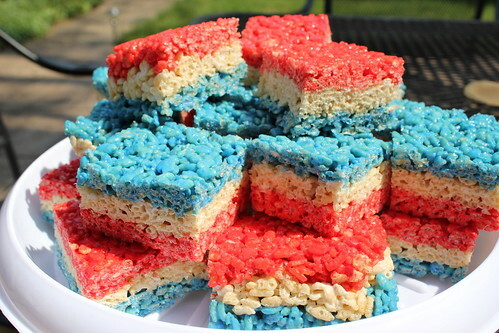 I couldn’t make regular-ish rice krispie treats without making red, white and blue ones. So I did. I took a standard recipe (6cups cereal, 3T butter, 1 bag mini marshmallows) and split it in three. 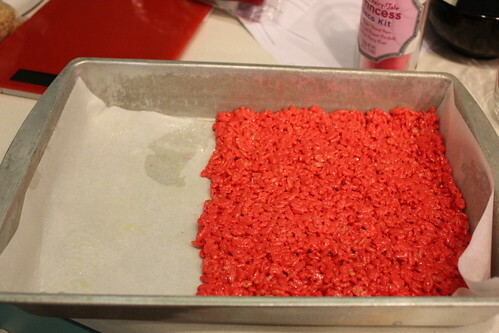 I did the red layer first and it went this far. That was not going to cut it. So I did another half of that – so each color was 3 cups cereal, 1.5T of butter and 150g of marshmallows (I love you, kitchen scale). Much better. 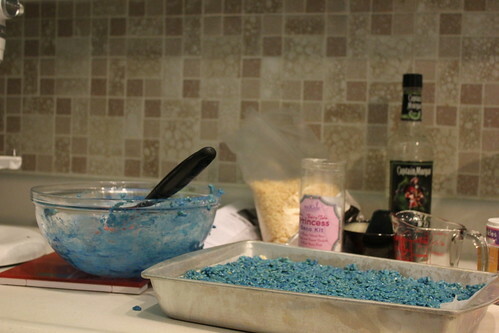 Also, let me say, gel food coloring does not mess around. I’m a little embarrassed it took me so long to buy some, but I am so glad I did. Look at that red! And, as you can see the treats were a hit! Saturday was my cousin Adam’s birthday party and I decided to make him some cupcakes. He loves caramel so I knew they were going to include caramel, but it wasn’t until I was looking around for recipes that I decided exactly what they were going to be. Chocolate cake filled with salted caramel. 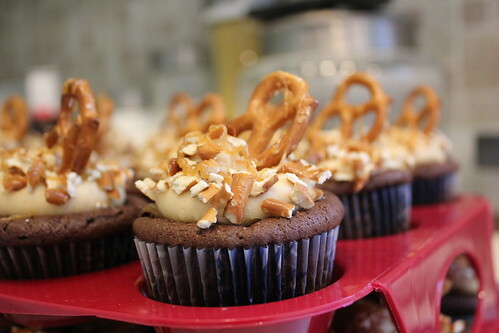 Topped with salted caramel buttercream. 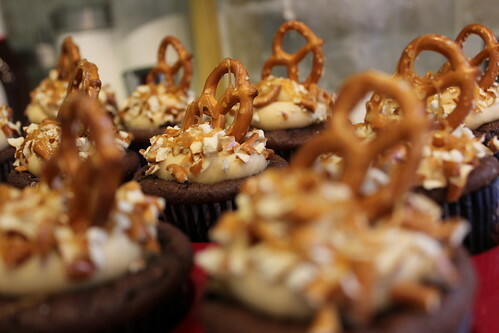 Dipped in crushed pretzels, drizzled with more caramel. The chocolate cake – I used the recipe from my baking addiction. Warning: it is a doctored box mix but it makes the best chocolate cake I’ve ever had. The caramel…well…hah. I decided to try to make the overnight crockpot caramel that requires you to cook a can of sweetened condensed milk for 8-9 hours in the crockpot. Woke up, nothing had exploded, was pretty excited. Keith asked if I had tasted it and I said “Oh, I probably should in case it didn’t work.” Opened it up, tasted it, was unimpressed. I didn’t think it tasted like caramel…just like sweet milk. Not a fan. Bought some pre-made caramel at the grocery store instead and added some salt. Perfecto. The buttercream – 1.5 sticks of butter, probably 1-1.5 cups of the caramel, some salt, 2 (16oz) bags of powdered sugar. It was so thick I thought my hands were going to fall off while piping. Then I just crushed up some pretzels, mushed the cupcakes in them, topped with a pretzel and drizzled some more caramel via ziplock. Cupcakes went over really well, all 2 dozen were gone in maybe an hour. 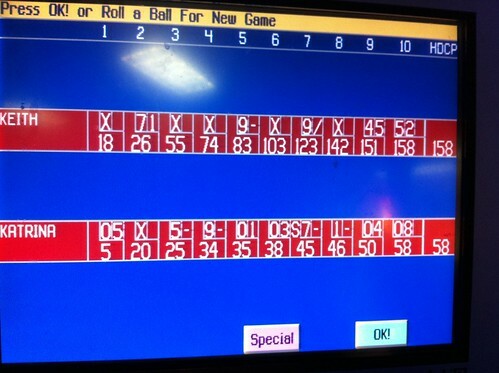 I split one with Keith and they were super rich. I think I could have used even more salt. Overall, I was really happy with them!